Gloucester Road or South Kensington tube stations. 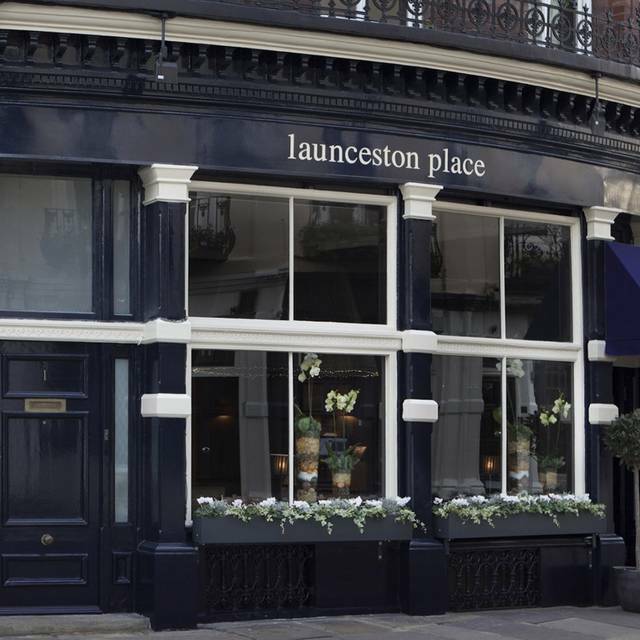 Launceston Place is a hidden gem in the heart of Kensington. 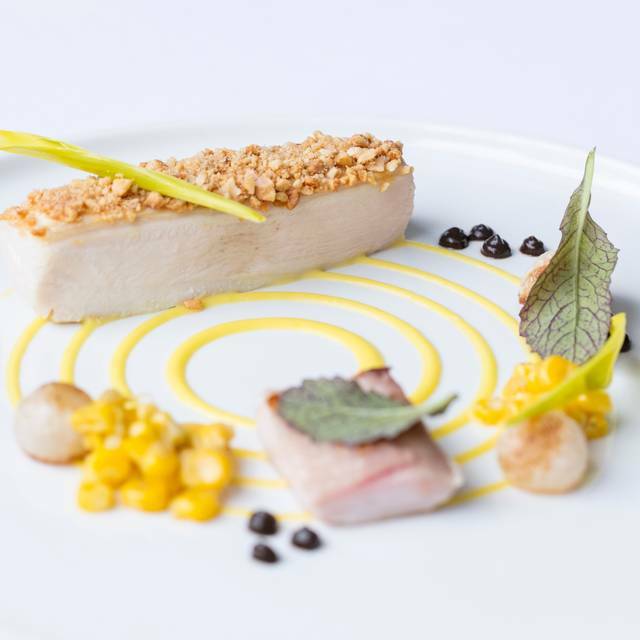 Head Chef Ben Murphy is passionate about using the best produce in his constantly-changing menus. 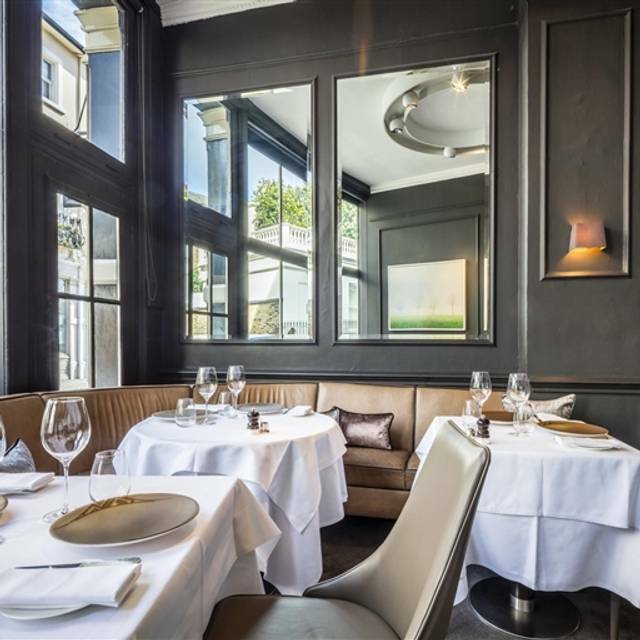 The restaurant has received 3 AA Rosettes in 2019, while the wine list has won Tatler's Best Wine List Award, the Award of Excellence from Wine Spectator magazine and Notable Wine List 2015 by the AA Guide. 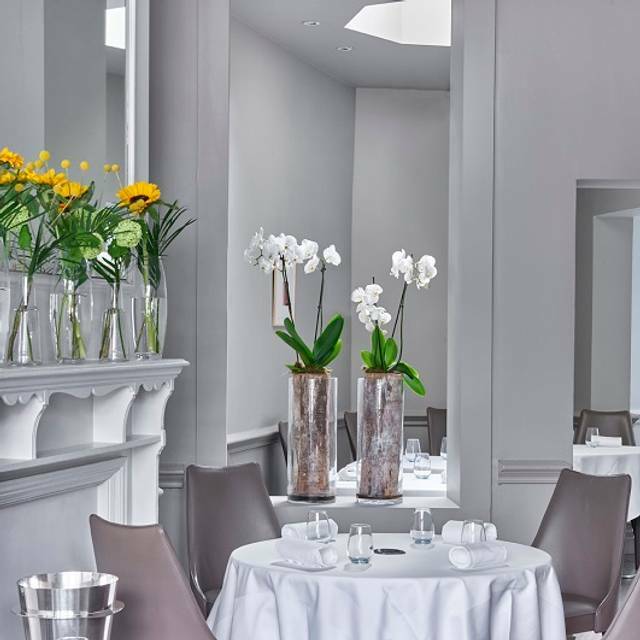 Voted one of the best dining rooms in London, our unique “Chef’s Office” offers a truly exclusive gastronomic experience. 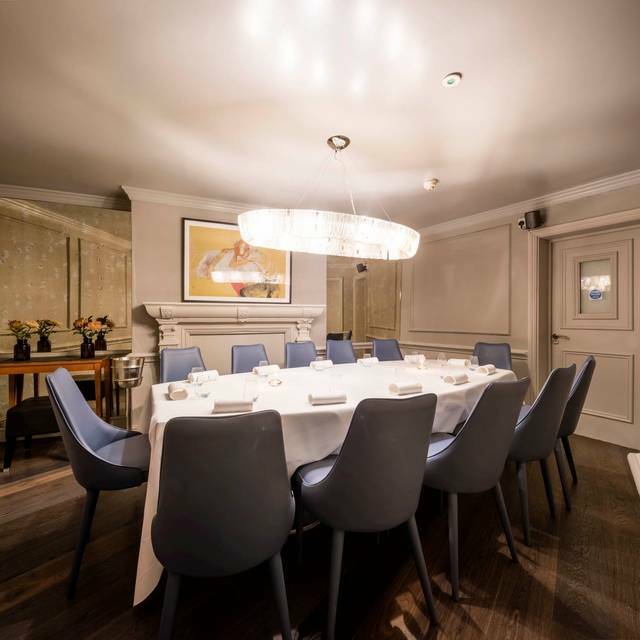 The private room is located directly adjacent to the kitchen, giving guests an insight into one of most talked about kitchens via a large plasma TV screen. From a set menu. Credit card details required for tables over 6. Offer is subject to availability, not available on blackout dates. Price excludes service and includes VAT. Not available in conjunction with any offer. Please note the table might be required back after 2 hours from the booking time. Our second visit to the restaurant this time taking parents for a 40th wedding anniversary treat and did not disappoint - Great food, attentive and professional waiting staff and extra special setting. We had the Sunday lunch set menu which made it great value too. Presentation of the food was beautiful with some quirky ideas which added to the fun. Secluded setting in a beautiful street which makes it feel like a real find. Not noisy despite being near to full at the time we were there which makes it great for talking around the table. Smart restaurant but not stuffy so can be dressed up or more smart/casual and welcomed equally. Would highly recommend - again! Excellent fixed price menu. Good and attentive service. Restaurant pretty full, so ambience stimulating rather than peaceful. Staff were amazing- so welcoming, friendly and efficient. Food was of a very high standard- we had the lazy Sunday brunch which was fantastic value. Will be back, thank you !! Lovely dinner, amuse bouchée super! This is one of the best dining experiences we have ever had. Posh restaurant in beautiful Chelsea/Kensington. Extremely imaginative delicious menu with several small surprise/unexpected intermediate courses. Artistic original presentations. Great helpful wait/wine staff. Very Expensive, but worth it if you enjoy a top flight experience on special occasions!! This was a truly exquisite dining experience. I could write a list of superlatives about the food and service although I'm not sure any words would truly reflect the overall experience. It was utterly superb and tremendous value for money. Staff were outstanding. This was our second time at this restaurant in a month. We had the set Sunday lunch with a glass of cava. The food portions are a little small, but no smaller that any fine dining restaurant. However, you do get some extras and some interesting and quirky amuse bouches! The rosemary bread is to die for and all the course we had were definitely way above the norm! The staff at this restaurant are all lovely and make you feel very welcome. It is a superb location for a bit of shopping on Kensington High Street, a lovely meal and then a walk in Kensington Gardens. What a treat, amazing food with an imaginative twist and fantastic service- made to feel very special. Always a very nice experience. Friendly staff and great food. Took my partner for lunch for his birthday and had a great time. Food and service was fantastic and thanks for the birthday brownie! 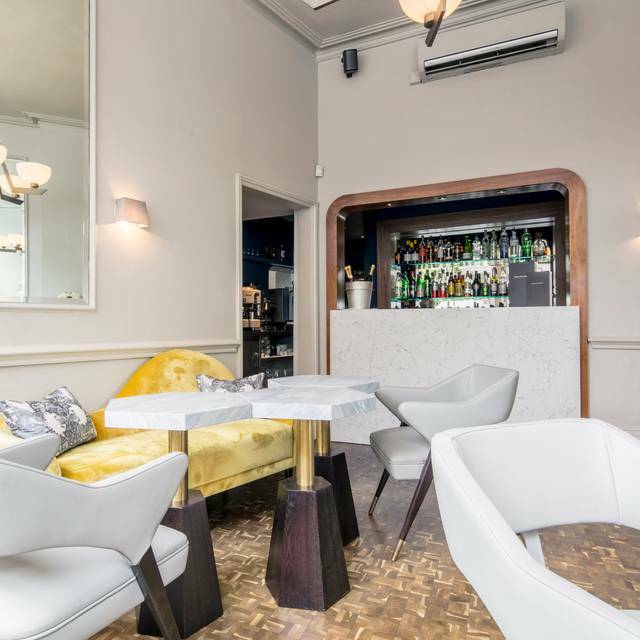 The restaurant has been a favourite for some years and it never fails to impress. As ever, everything was perfect and we are looking forward to our next visit. We went for the four course fixed price lunch and it was a real delight, creative food imaginatively presented and cooked to perfection; coupled with excellent suggestions from the sommelier it could not fail to be a wonderful lunch. 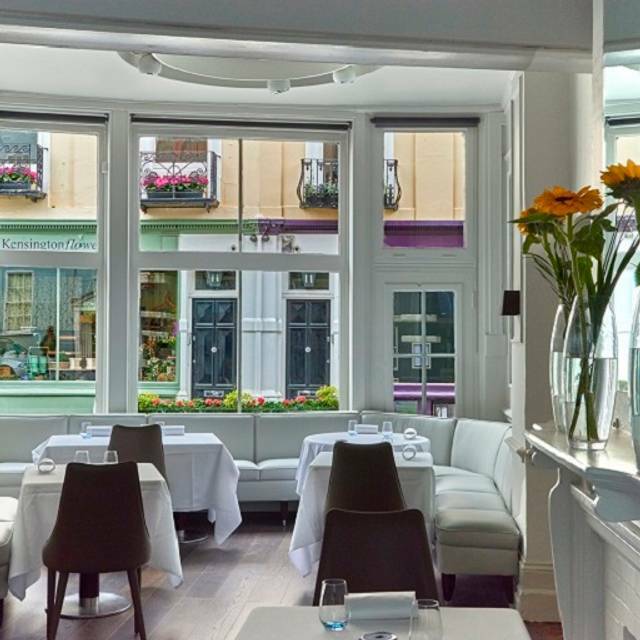 Outstanding restaurant, underpinned by creative chefs and supported by wonderfully attentive staff. All round excellent, never disappoints! Excellent food and service as usual, and the set lunch menu is good value. Have had better soufflé here; perhaps just an off day. Everything else top class. We’ve been to a lot of D&D restaurants and this is by far the best. Fantastic, imaginative, surprising food. The online menu doesn’t do justice to the complexity of the flavours, and the number of great amouse bouche. The Sunday set menu is especially good value. Service was also excellent too - friendly without being intrusive. Amazing food and service, we would totally recommended and be returning to visit again. I hadn't been here for years, saw the set lunch offer and decided to give it a go. Was somewhat bemused by the menu but the food was all simply delicious, beautifully presented and tasted fantastic, several bonne bouches came too. All rather a revelation. The setting is elegant and the staff were excellent too, the helpful maitre d went a long way in explaining each course with great care. Only slight carp is the wine list which is pricey, we chose the cheapest red (Rioja) which we regretted. Will definitely go back. 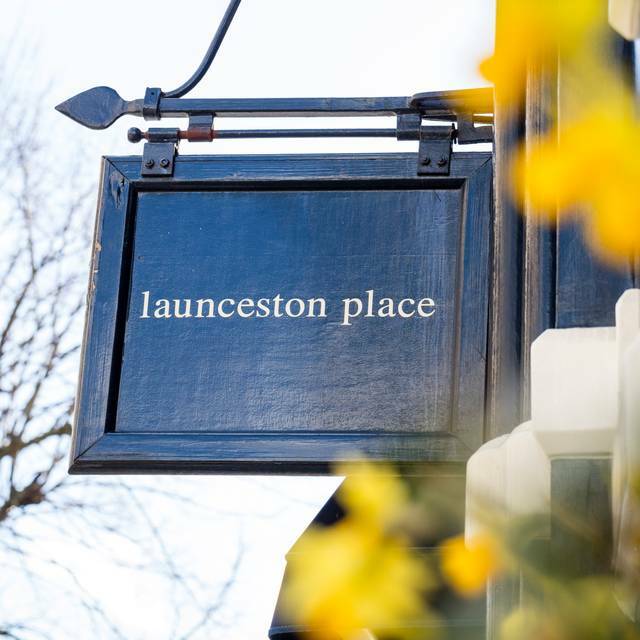 We went to Launceston Place five years ago and really enjoyed it then so with a new chef we thought we'd go again for Valentines Day. It was a busy night as expected even at 9:30pm. The red rose on each table was a lovely touch. The food was exquisite, beautifully presented and inventive. The menu didn't give much away so we were pleasantly surprised with each course. I loved the flavours of the hake course and the pork course (would have loved to have more of that pork!) and the final dessert of chocolate/lychee/rose petals (although hopefully, they'll be replacing their plastic straws sooner rather than later with more sustainable options!). The service was a little slow - we had long waits for the drinks to arrive and between courses, but it was a busy night. We thoroughly enjoyed it and would recommend. After a visit to the V all for £30. Lovely. Absolutely incredible food and service. Food and service excellent. However it's £130 per head minimum, with only a couple of glasses of wine. So unless you have the money to not be put off its best saved for a special occasion. The set menu had a choice of three starters and mains with veggie, fish and meat options. My crab pasta starter was let down by the very cold filling that made the pasta cold also. The response upon a complaint from my husband was that was the way it was served! My rib of beef with beet was tasty but the beef still a little chewy. The highlight (or lowlight depending upon your perspective) was the crispy potatoes arriving in a miniature supermarket shopping trolley. Absolutely ghastly! Which causes me to remember the menu itself: each option had an emoji picture next to it So next to the four gras there was a duck, picture of a swede next to the swede etc. The third “course” was a small pre-desert of a bay leaf infused ice cream topped with a fermented cherry. Delicious, but “bay leaf” wasn’t much to inspire on the menu. I chose a rhubarb sponge pudding which was good. Cheese had an £8 supplement attached. The service was very good on initial welcome and they were happy for us to us while away the afternoon over several additional glasses of wine. However, all three of us found the lengthy introductory explanations of each dish intrusive and irritating. Please just explain on the menu. I had SO wanted a good experience as I love the venue. 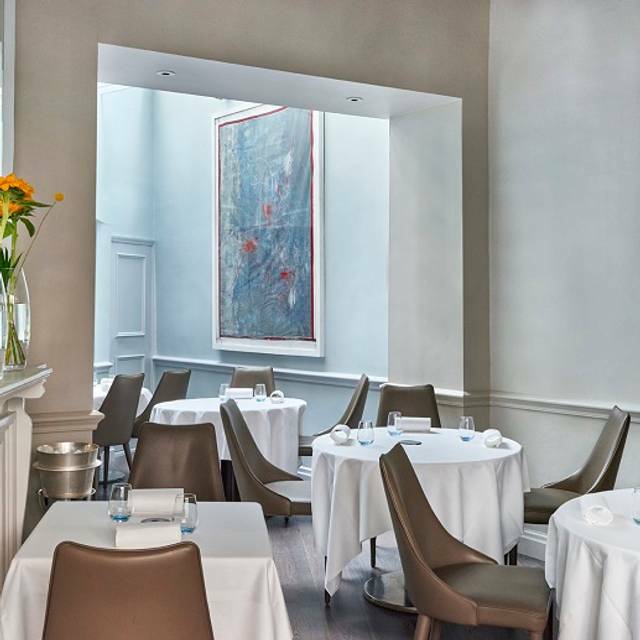 I don’t go there anymore because I dislike that one may only have lengthy tasting menus on prime evenings and I can’t eat that amount of food at night, way preferring a la carte. .
Amazing food, atmosphere, service. Don't understand why this restaurant doesn't have a Michelin star yet.. Absolutely top notch from the excellent and knowledgeable Somelier Piotr to our cheese loving waiter and our charming Maitre D. And the presentation and food was spectacular. And a pistachio soufflé to die for. Book now. Can’t recommend it highly enough. Excellent food and service. Very innovative as well. Excellent work by the chef and the front of the house - well done! Great and unique place. Would love to come back there! A perfect afternoon sitting in the delicious haven that is Launceston Place. The staff are wonderful, food delicious and innovative; a glorious place to while away the hours. Amazing. Food, service and atmosphere all outstanding. Beautifully presented and tasty food. Lovely canapés, crab starter, cod main and savarin dessert. Very talented chef worthy of two Michelin stars. Service excellent and restaurant beautifully redecorated. Thanks a lot for a wonderful evening. Beautiful plates, creative and tasty combinations. Very well-balanced mix of sweet, savoury, fresh and cooked products. Ben Murphy is an amazing chef and his team enhances the culinary experience with their thorough and knowledgeable explanations. Everything was perfect from the first pre-starter to the Italian espresso! Lovely, quiet, cosy location. We had the tasting menu for dinner. The snacks and rosemary bread were a delight and we very much enjoyed the iberico main (never had rare pork before, it was delicious!) and yuzu matcha dessert in particular. Overall a really lovely meal with my girlfriend.